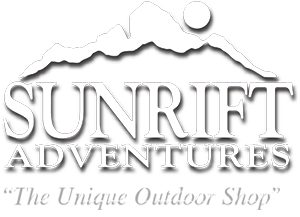 Established in 1980, Sunrift Adventures is the premier outfitter in the upstate of South Carolina! Whether you are a backpacker, paddler, cyclist, hiker, climber, traveler or just want to exercise on the Swamp Rabbit Trail; our dedicated and highly experienced staff can help outfit you for your next adventure… big or small! Sunrift Adventures Inc. shared a post.